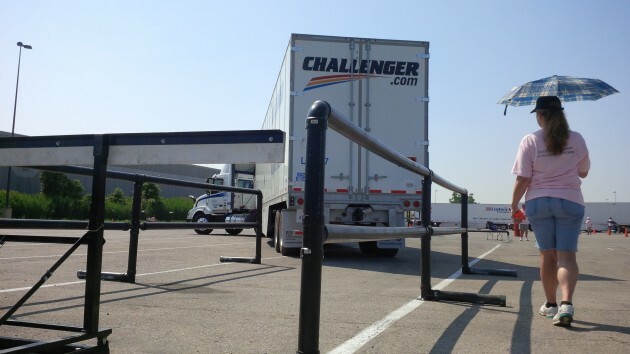 But could anyone have guessed that last Thursday night around 9 p.m., when the sun was setting on an already long day, Home Hardware’s entrants in this weekend’s Ontario Trucking Driving Championships were just wrapping up a marathon six-hour practice session in the company’s yard? Their preparation paid off. A tractor-trailer is backed between two tightly positioned barriers. 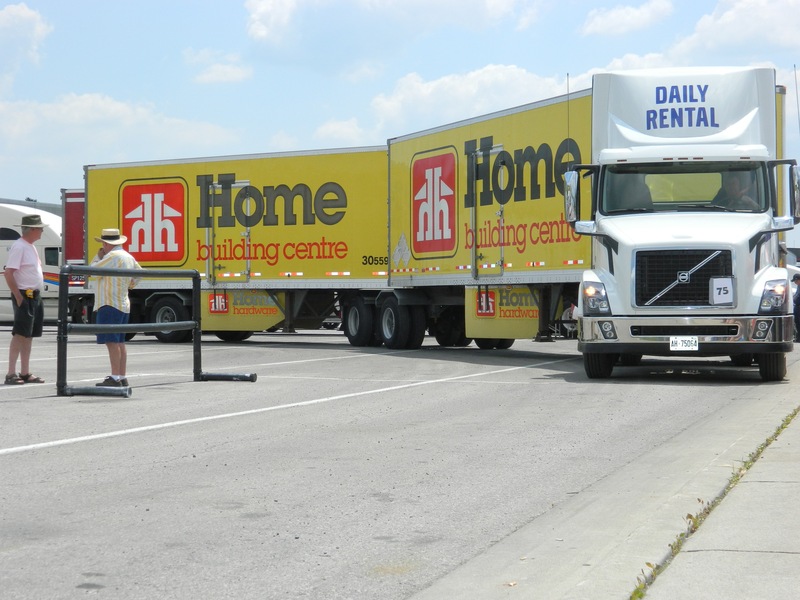 Home Hardware drivers won nine of 22 awards presented at Saturday’s competition, including the Highest Points of the Day and Grand Champion awards, both of which went to Joe Kuntz, winner of the single-single division. 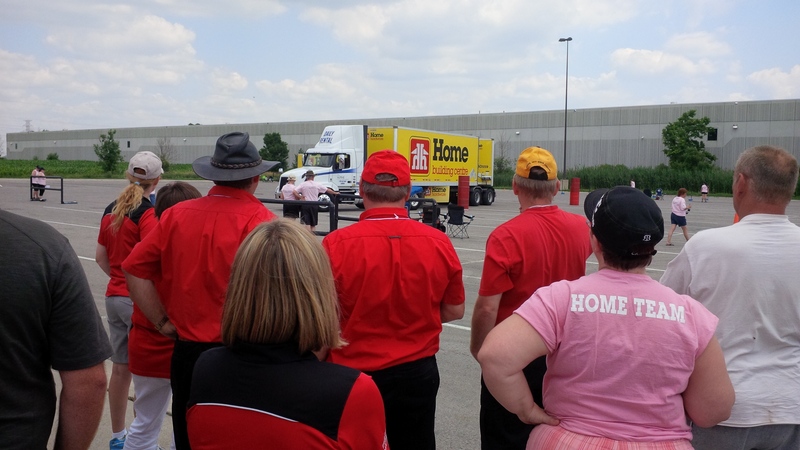 Home Hardware drivers will make up three of the five competitors who will go on to represent Team Ontario at the national championships in Regina, Sask. this fall. And none of this was by chance. 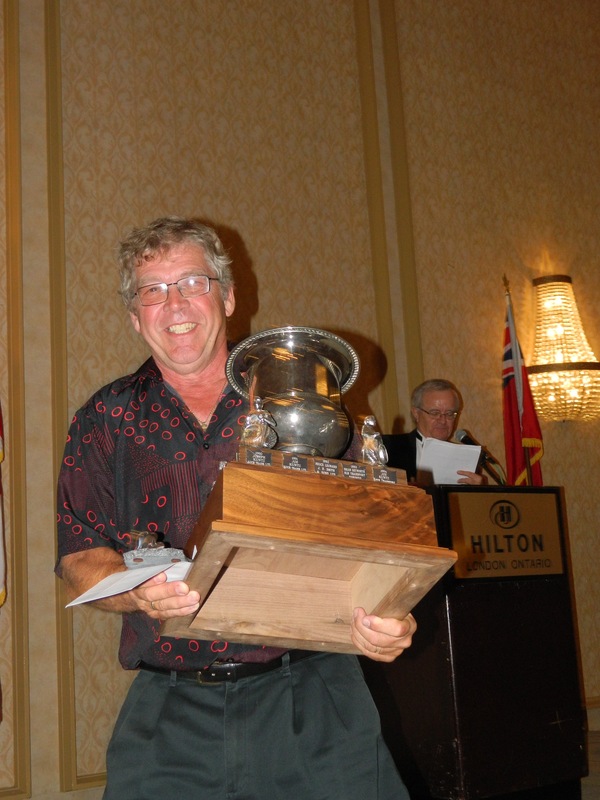 This from a championship veteran; Kuntz is the only driver who has competed in the Central Ontario Truck Driving Championships every year it’s been in existence. Despite the uncertainty he felt just days before the competition, Kuntz said he knew he nailed it when he completed his run Saturday afternoon. 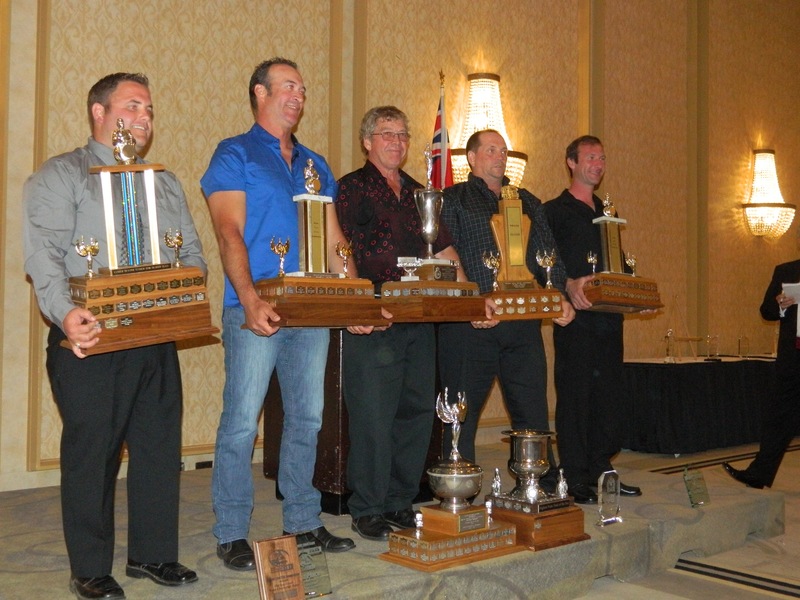 No one was prouder of ‘The Home Team’s’ performance than fleet manager Dennis Shantz, who was there at the awards banquet to support them. Joe Kuntz was named Grand Champion and winner of the single-single division. It’s that company support that sets competitors up for success, championship committee president Ewen Steele pointed out in remarks at the banquet. This year, the competition at the provincials was as fierce as ever. Preetpal Nijjar was the defending national champion in the tandem-tandem division. He was relegated to second spot in this year’s provincials, even though he felt he put together a strong run. Sebastian Tatar, a driver with Con-Way Freight was one of the relative newcomers, competing for just the second time. The change in course didn’t seem to bother him one bit; Tatar won the single-tandem division and will represent Team Ontario in Regina. 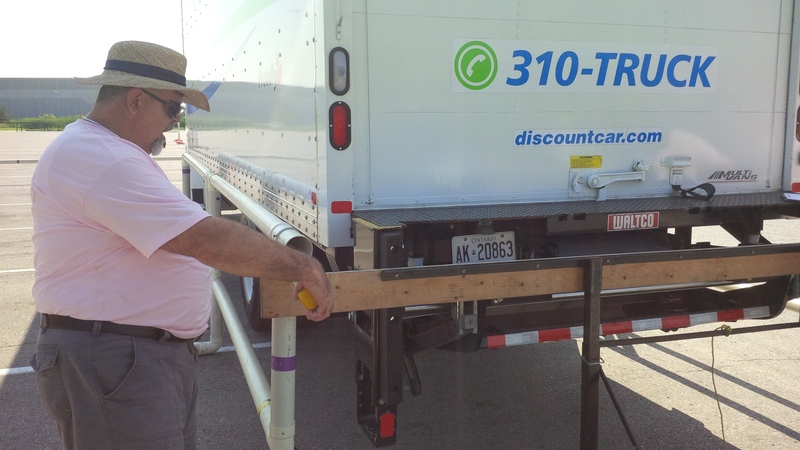 A driver completes his pre-trip as an MTO officer looks on. All the drivers who competed in the provincials this weekend earned their way in. 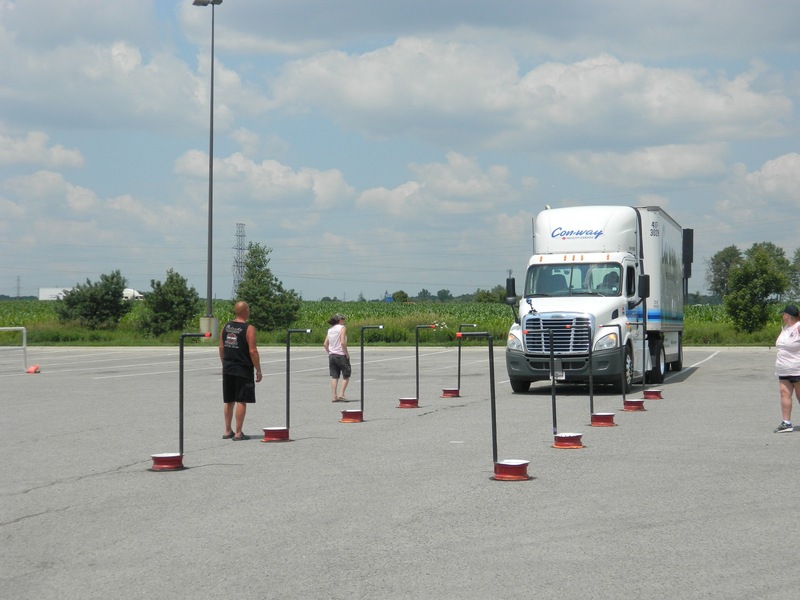 They had to finish among the top four in the Toronto or Central Ontario regional championships, or one of several OTDC-sanctioned competitions put on by individual fleets and/or municipalities. The competition is growing and an effort is underway to put on an Eastern Ontario regional championship next year. Next year is a big one for the Ontario competition. Not only will it be its 70th, but it will also be Ontario’s turn to host the national championships, slated for next fall in Brantford, Ont. at the municipal airport there. 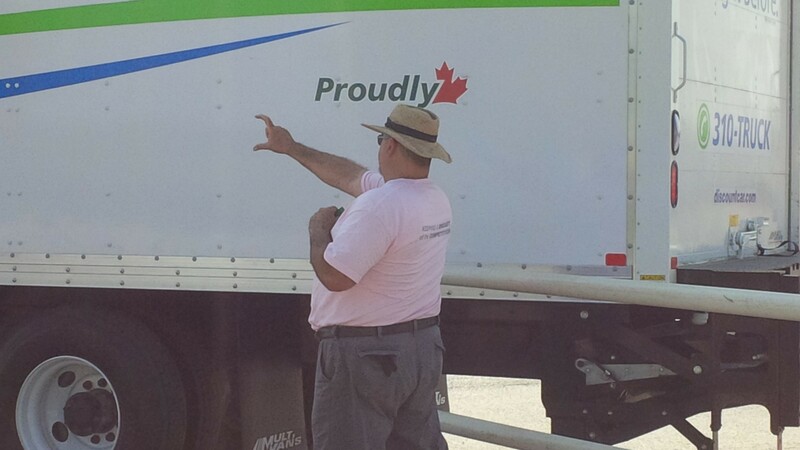 Saturday, 50 drivers and more than 60 volunteers endured the hot, hazy July weather at the Flying J in London, Ont. Two courses were set up and trucks were efficiently run through them from 9 a.m. until about 2:30 p.m. In addition to the obstacle course, drivers also had to complete a written knowledge test and perform a timed pre-trip inspection under the supervision of an MTO transport enforcement officer. No pressure! 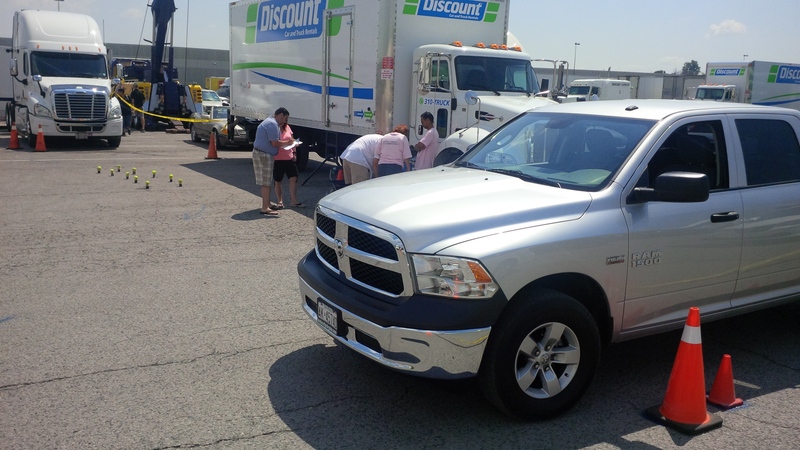 For the first time, three drivers aced the pre-trip with perfect scores: Mike Hamilton, City of Brampton; Wayne Burnett, Home Hardware; and Rob Hunter, Waste Management. “Sure,” they said, measuring the distance between the barriers to reassure me, and perhaps even themselves. Sure enough, Truck 12 came along and backed perfectly between the barriers, proving it was indeed possible. A couple more trucks also nailed this section, but then hit a barrier as they pulled forward, the drivers’ minds perhaps having already moved on to the next obstacle. There’s no room for error in this competition and even the briefest attention lapse will be punished with a points deduction. 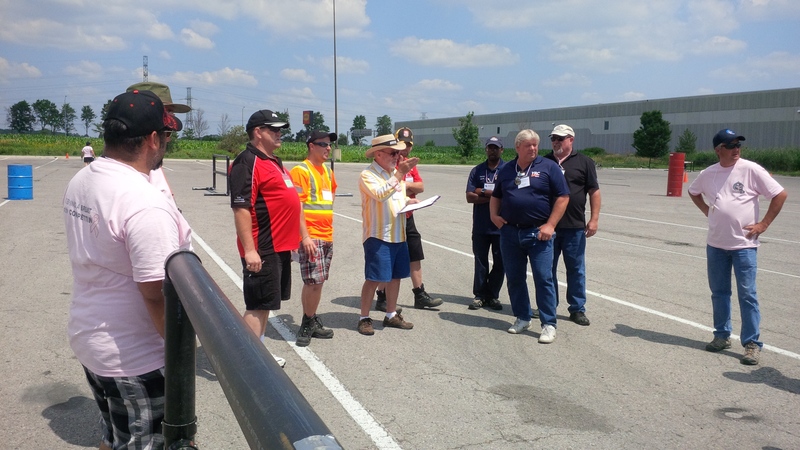 While the province’s best drivers demonstrated their skills on the course, the top MTO inspection officers were taking part in their own competition at the same venue, to determine which of them will represent Ontario in the North America-wide inspectors’ competition later this year in St. Louis, Mo. We’ll have full results from that competition this week. Even the significant others were invited to compete in a day-long celebration of competition. The Powder Puff contest allowed drivers’ wives to test their skills on a short obstacle course behind the wheel of a Dodge Ram pickup. 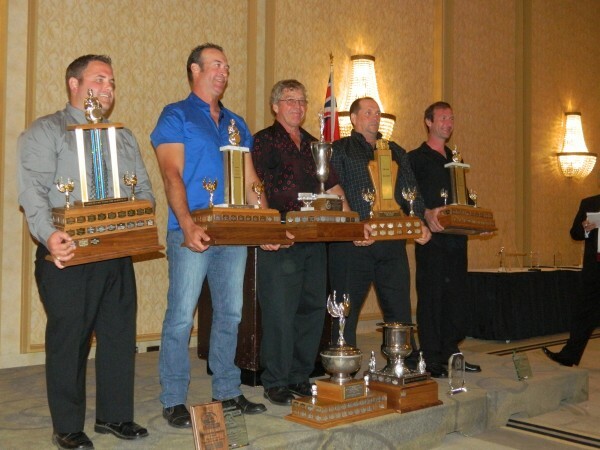 Kelly Ward won this competition and received the same treatment at the banquet as the winning truck drivers, minus the trip to Regina. Don Danbrook, a longtime advocate of the championships was recognized at the banquet with the Bill Russell Award, for his tireless support of the championships. Trucknews.com will have exclusive video from the championships later this week. 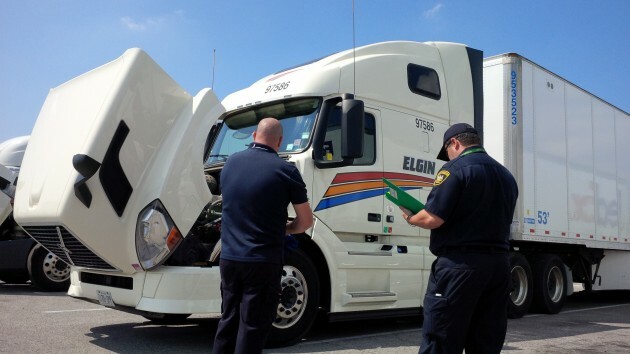 A volunteer briefs a driver. B-train competitors do a course walk-through. Backing in between two tightly positioned barriers.